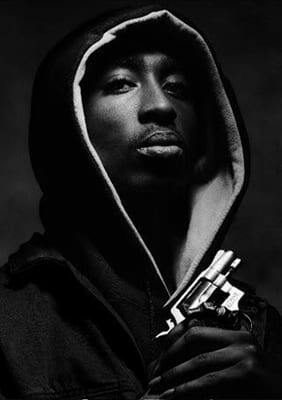 Complex says: This song was featured on 2pac’s Killuminati: The 7 Day Theory, which means by the time we got to hear Pac compare his glock to his girl, he had already been tragically killed in a hail of gunfire. But like it says on Pac’s mural: Live by the gun, die by the gun. Either way, the song is still classic Pac with his boisterous delivery and The Lady of Rage adlibing as his girl. Years later, even though Pac dissed Jay-Z on the intro to this album, Hov would put his own spin on this record more than once. The first time he did it right, staying true to the original concept on the second verse of The Blueprint’s “All I Need.” However, the second time around on The Blueprint 2, his lead single “‘03 Bonnie & Clyde” borrowed the hook from Pac’s original, but featured Beyonce and a literal interpretation of the title. Even Kanye couldn’t save that one.